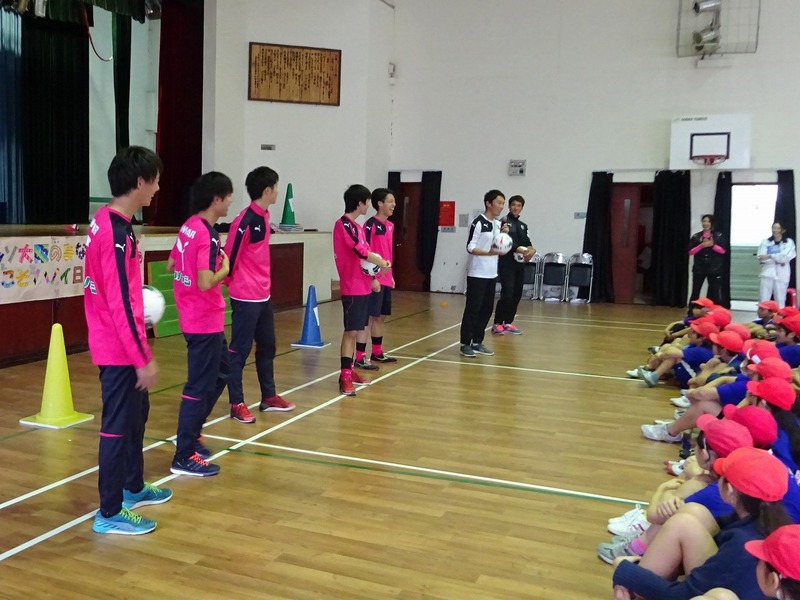 As part of the international friendly "Yanmar Cup 2015" match against Vietnam U-23, Cerezo Osaka players paid a visit to a Japanese School in Hanoi. 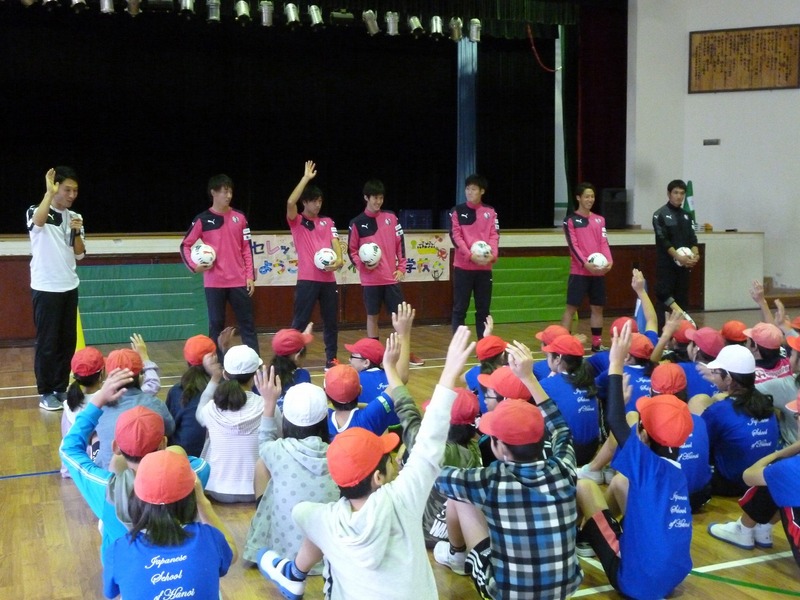 There were many questions to the players from the children, such as, "How many times can you juggle the ball?" 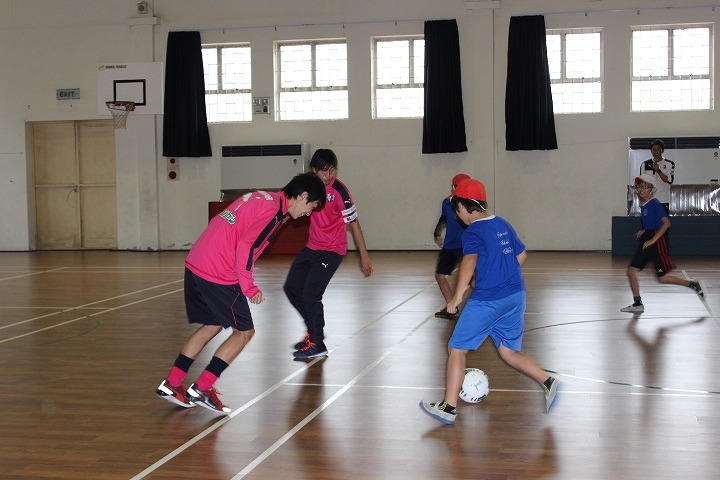 or "What do I have to do to improve my football skill?” The players responded sincerely and told them all about their experiences and ideas. The day ended with high-fives all round! 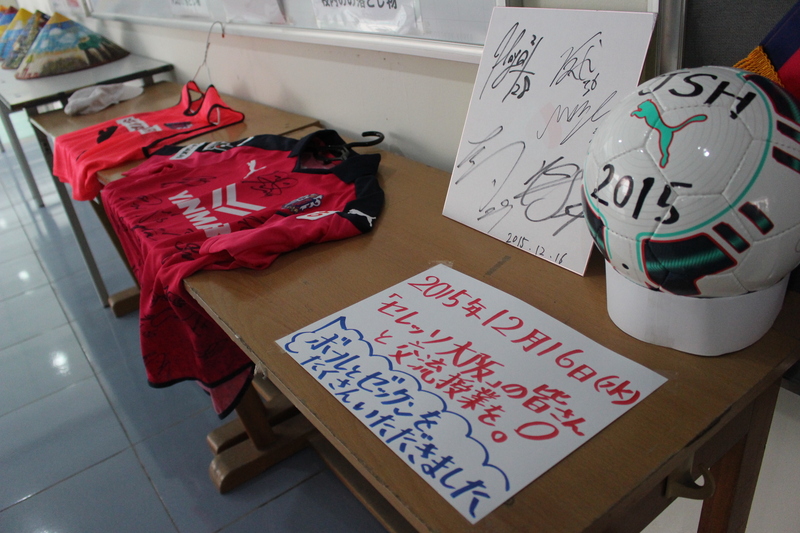 After the event, the balls and bibs gifted were displayed at the school. "We are delighted that our visit made them so happy,” the players said afterwards. “They gave us strength, saying 'please win the match!' 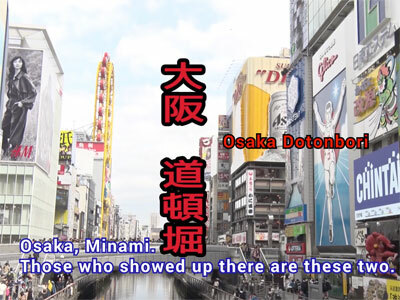 We've heard the children will also come to watch the Yanmar Cup so we definitely want to win for them." 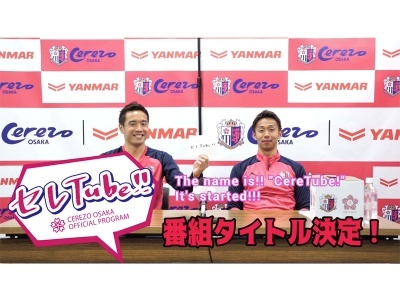 Unfortunately they weren’t able to do so, but they did earn a respectable 2-2 draw from a closely-fought game, with Kakeru Funaki and Masaki Sakamoto finding the net for Cerezo.